Remodeled with lots of upgrades. Newly installed flooring throughout! One of the most spectacular locations in all of Colorado Springs. 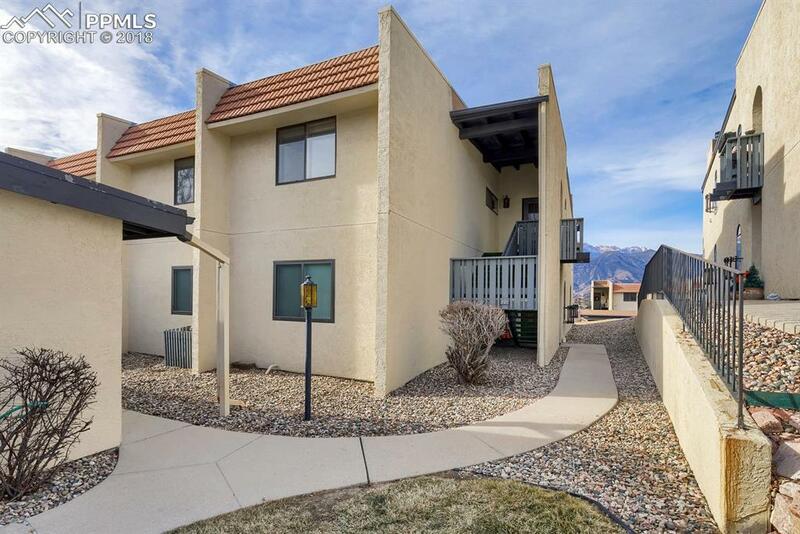 Everything you're looking for in Colorado living rolled into one address: jaw-dropping views of Pikes Peak, Garden Of The Gods and the Front Range including Cheyenne Mountain to the south. 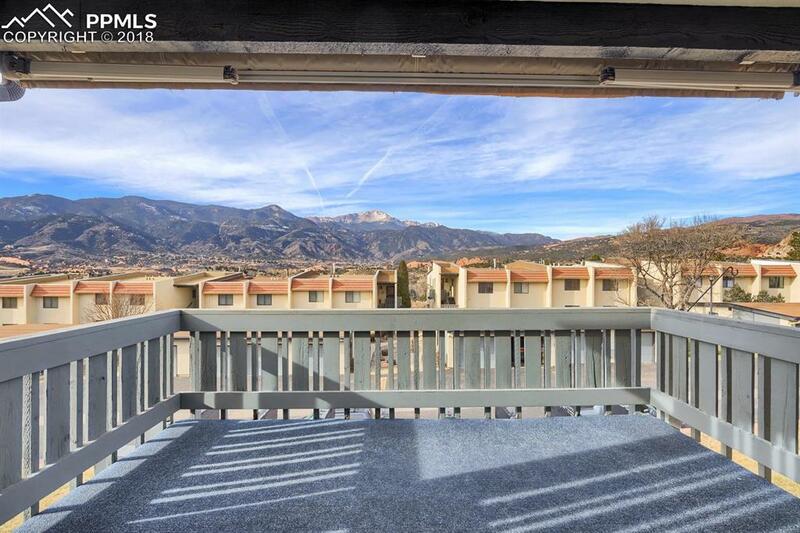 This popular community has a pool, tennis courts, 24-7 security, close to magnificent trails for hiking and biking. 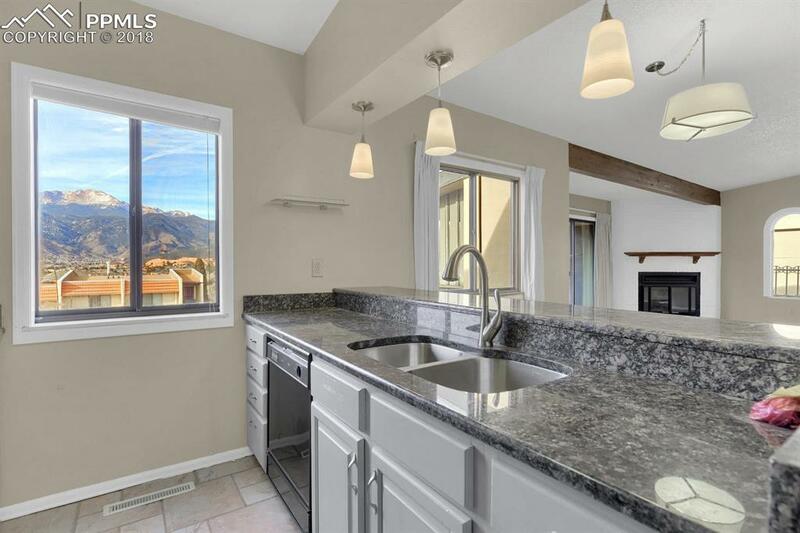 This second floor unit has an open kitchen to the great room with granite counters, stainless appliances and pendant lighting. 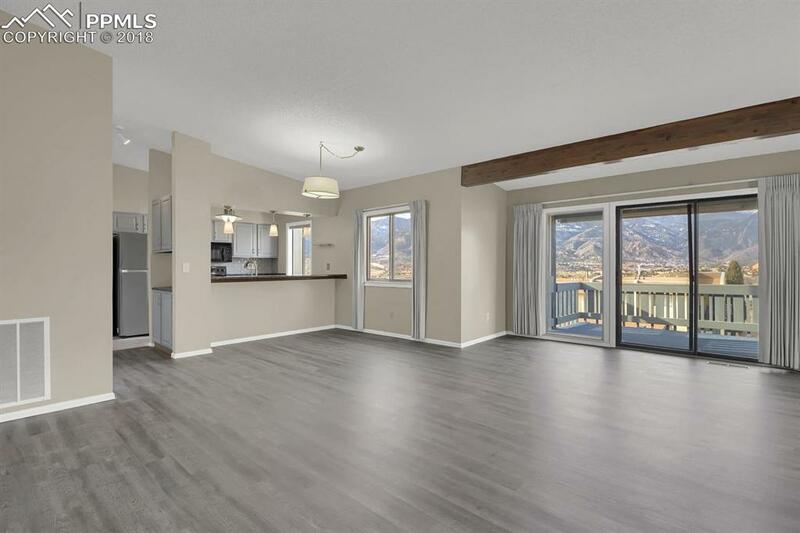 The living room with vaulted & beamed ceilings has a gas fireplace and sliding door to the partially covered deck that looks out onto the majestic Rocky Mountains and stunning rock formations. The bedrooms are spacious and well-placed for privacy when needed for guests. Both baths have been updated to include new designer tile flooring. Other newer features: light fixtures and doors throughout, brushed nickle cabinet hardware and fixtures, window blinds and fresh interior paint. Garage included. A rare West Side treasure!